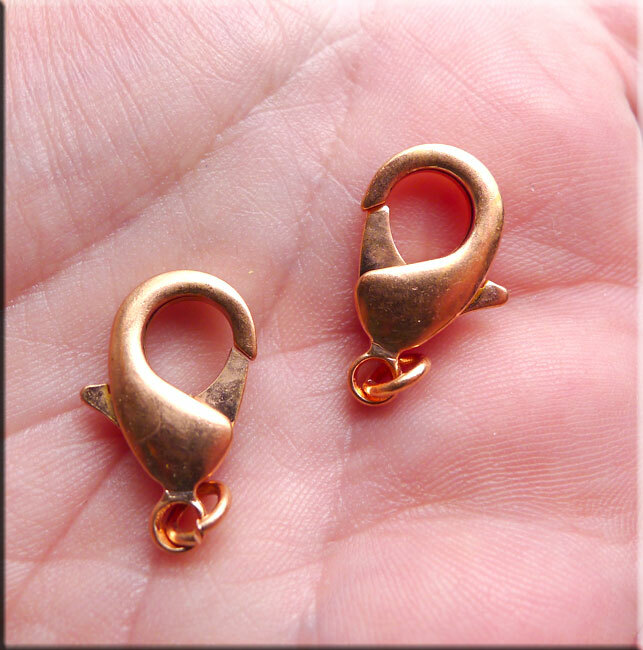 When your large jewelry designs need a warm or vintage touch, use these 19mm x 10mm copper trigger clasps. Classic lobster-shaped design features a small ring at the bottom for easy attachment to jump rings - one (1) 4mm jump-ring is included per clasp and attached at the bottom. The large opening is durable enough to hold up designs with large pieces like gemstones. 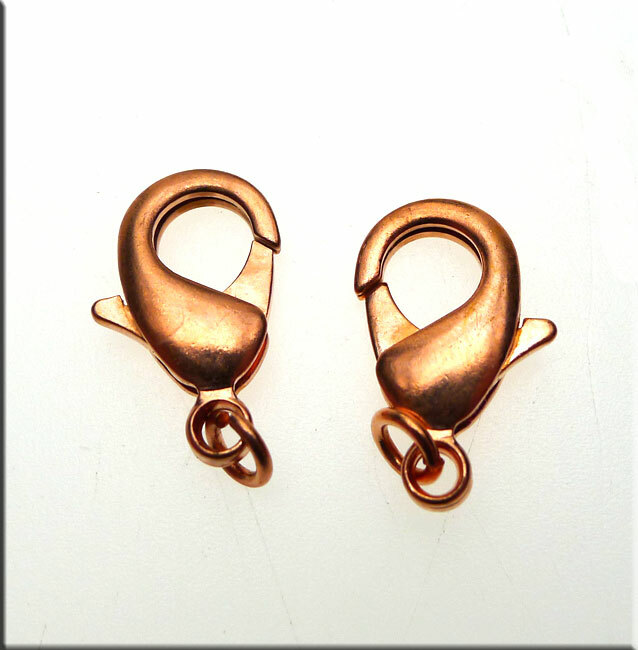 With its copper plated finish, this clasp is perfect for bold Necklace or Bracelet Designs. Try them with turquoise or copper charms for a classy look. Sold by Bulk 10-clasp bag.